But he was looking a little sad when I pulled him out of storage yesterday. If you were around Blogland last Spring, you may remember that these cute little Pier One bunnies were everywhere! I am nothing, if not a good copycat, so of course I ran out and picked up a few myself. What seemed like a good idea last year just wasn't working for me this time around. After some consideration, I decided that the little tin from The Dollar Tree was a bit too busy with the messy stamped-on colors. It just so happened that yesterday was great spray painting weather, and I had a long awaited reunion with Mr. Rustoleum in my backyard. With a little spray paint and some minor adjustments, I think the Easter Bunny is ready to hop his way into Spring! Then I refluffed the moss on top, tied a strip of burlap on, and voila! You might not be able to tell the difference, but just painting the tin helped so much! I am digging the all-white tin now...and I think perhaps Mr. Bunny might bring me a few extra Reese's peanut butter eggs for my efforts. Jane from Finding Fabulous! Please email me, Jane, and I'll get you in touch with Linda. If you're bummed that you didn't win, be sure to come back on Thursday for another fun Giveaway! I'm just full of surprises lately! 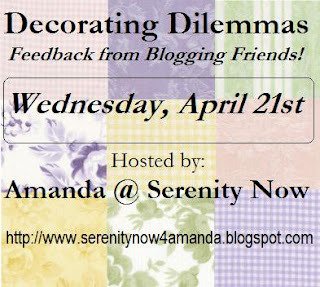 If you missed Saturday's post, please be sure to update your blog schedules with the new date for the next Decorating Dilemmas party. It's going to be fun...plus, it'll be my birthday and you don't want me to have a link-less birthday, right? Right?! Please visit the fabulous Kimba for her weekly DIY party. Lots of inspiration to be found there! Lovely, lovely make-over! Maybe you can add some Easter eggs around the moss for added color :) Happy Spring! 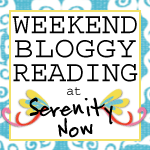 I wasn't around last spring and i'm new to your blog! but what a cute idea! i LOVE IT! and it makes me sooo excited for spring! YAY! Much better with the burlap ribbon then the organza bow and I like that you painted it white. Great job! Ack...I finally won something! I never win anything, oh what fun! I'm so excited. Thank you Amanda, thank you Tattered Flower! You know how when you spray paint, you get that bit of paint on your trigger finger, and it gets kinda sore after a while? Well, you suffered all that just to make the Easter Bunny look good! Of course you're gonna get an extra sumthin in your basket for that! No doubt about it! Bunny looks cute! I had some of those same DT tins from last year, which I also painted...I'll have to see if I can dig them out. Though I'm not really gettin' in the spring decorating groove. I did put my spring wreath on the door; that's good, right? Your bunny is so cute. I never did get one last year - darn! It is adorable! Super cute Amanda!! I don't have any of my Easter things out...wait, I don't still have my house together! lol I love your cute transformation...love it! super cute! I love the makeover. I haven't pulled my easter decor out yet-slacker I know. I now I went to pier one last year and got some stuff-I can't remember what I bought-thanks for the reminder!! Tomorrow is the day now! I love this little rabbit and his nice white flower pot he is perched upon. I remember those sweet bunnies from last year and wanted one then and now....awww... so cute! Very cute! I love the tin being all white. Great makeover! I like the burlap and paint update. I'm thinking I might have to skip Easter decorating this year. It's almost here and I've yet to pull out a single thing. Amanda that's so cute!! I love the your bunny makeover!! Very cute and ditto on the starburst jelly beans! Well I wasn't blogging last year -- and he is cuuuuuute!! Thanks for sharing...and don't ya love spray paint weather?? I wish I was around for that Pier 1 sale. Very cute. Gotta love spray painting weather, right. That bunny is so cute! 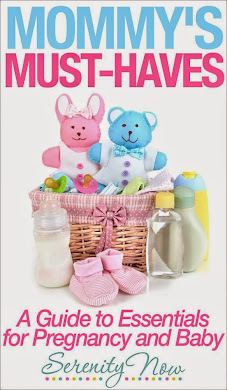 My mom would love that one - she collects bunnies.